The D.V (M.22E), armed with a single machine gun, was a design by Reinhold Platz. 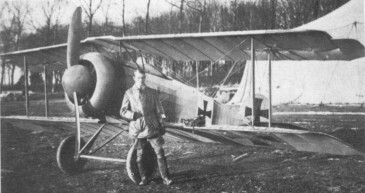 It was the most manoeuvrable aeroplane of its time, but owing to problems with the Oberursel engine it was not a success. Of the 300 built, most were used for training purposes. The final D V was a refined version of the D III with the U.l engine, and was used as a trainer. Engine: Oberursel U.l rotary, 75-kW (100-hp).